Kim Strong currently serves as the Chair of All In Together’s Advisory Board. She is also the Founder and CEO of Strong Connexion LLC, a business focused on Human Resources consulting, talent driven initiatives and inclusion strategies. She was recently the Vice President for Diversity and Inclusion at Target Corporation. While serving on Target’s executive leadership team, Kim was responsible for developing strategies, initiating action and driving organizational change in support of the company’s diversity and inclusion priorities. She began her career immediately after graduating Howard University at Dayton’s Department Store, once a division of Target Corporation, where she was promoted through multiple management positions over the years. In 2000, Kim was named Director of Human Resources for Mervyn’s, also a former division of Target Corporation. In 2007, Kim was promoted into the role of Regional Vice President, Stores Human Resources, overseeing more than 70,000 team members in 13 states for Target Stores. In January 2011, Kim was promoted to Vice President, Diversity and Inclusion for Target, responsible for the enterprise. 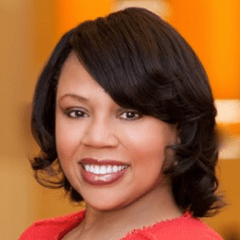 Currently, Kim is a member of the Executive Leadership Council, a national membership organization for Black global executives, while also serving on the Diversity Advisory Committee for Sedgwick LLP. Also, she is a member of The Links Inc., an international women’s service organization. Previously, she has served on the Board of Directors for The Executive Leadership Council, Dallas Black Dance Theater and Dallas Theater Center. Kim has been recognized by multiple media organizations as Top Diversity Champion and as Top Black Executive in Corporate America. In 2015, she was recognized by Howard University as an “Outstanding School of Business Alumnae” as well as receiving the Uptown Professional Magazine Catalyst Award. She received her degree in Business Administration from Howard University in Washington, DC.